Most assume that diversity refers to ethnic diversity. However, now more than ever, diversity goes far deeper than ethnicity. Diversity can refer to family composition, socioeconomic status, religion, and physical and mental disability. Despite the diversity reflected among students, teachers overwhelmingly represent majority culture. This poses an interesting dynamic in the classroom that can be problematic if educators are not properly trained to address the needs of their intercultural students. What are the challenges in the intercultural classroom? Communication styles: Both non-verbal and verbal styles differ across cultures, which can range from how students and educators gesture to how they use formal or informal speech. Cultural values and practices will place different levels of importance on certain methods of communication. As such, the relationship between educators and learners can be complicated in an environment, where the likelihood for misunderstanding is high. Assumptions: Conflict, marginalization and ostracism can occur when assumptions are made about a particular student based on stereotypes, generalizations and similarities. Educators need to be aware of in-group cultural differences (Ponciano & Shabazian, 2012). Cognitive styles: Individuals from different cultures cognitively process in various ways. This leads to a difference in use of logic, level of abstraction, problem solving ability and method of acquiring knowledge. Educators need to be aware of this as different cognitive and learning styles due to cultural differences can cause conflict in the classroom. How are these challenges resolved? Assessment of cultural identity. Educators must assess their own cultural values which shape and guide thoughts and actions. Knowledge of one’s own cultural identity will uncover possible biases, prejudices and discriminations that can underlie one’s view of the world. Evaluation of knowledge, skills, and attitudes. Educators also need to gain a better understanding of their ability to interact with other cultures. They should ask themselves questions such as: Am I open to individuals from different ethnic, socioeconomic and religious backgrounds? Do I value cultural differences? What is my worldview? Become culturally competent. Educators must also seek further education on cultural sensitivity, appropriate terminology, identity models and integration of intercultural dialog in the classroom. Build an inclusive, culturally-competent classroom. Educators are responsible for creating an environment that fosters a safe space for students to feel welcomed. This involves engaging in courageous conversations about cultural differences when necessary as well as confronting inequalities and assumptions in the classroom. Educators also need to model effective cultural competence to their students. Incorporate cultural perspectives in the classroom. Educators can expand cultural competence and appreciation in the classroom through the initiation of engaging dialog, which allows for different perspectives from various cultural backgrounds. This also creates an opportunity for educators to model appropriate terminology for learners. Various cultures can also be represented through course materials and lectures by including information that is relevant to a variety of cultures rather than just the majority culture. 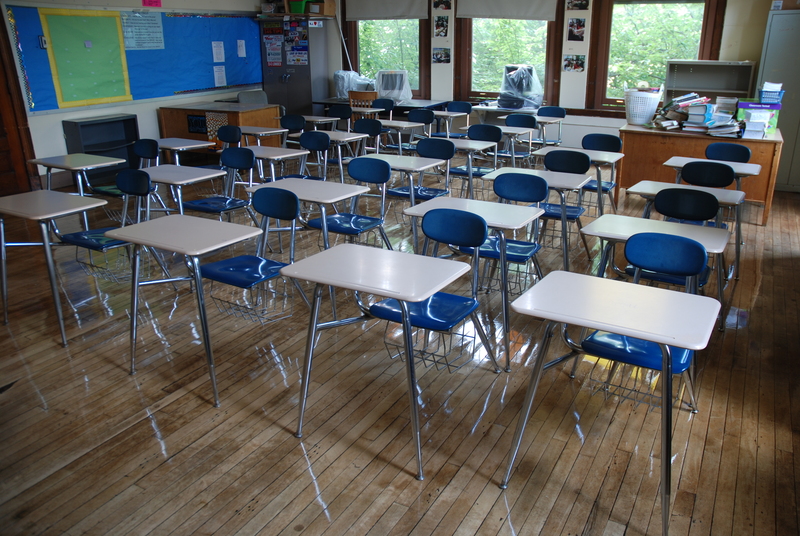 The classroom can often be a microcosm of the diversity that exists in the real world, and as such, it is extremely important for educators to provide a foundation for learning in an intercultural environment in order for students to be better prepared to act as informed, responsible, and culturally-competent citizens. Check out these guides for more information on how to teach an intercultural classroom. Childhood. Dimensions Of Early Childhood, 40(1), 23-29. I think the most difficult aspect and skill to acquire when teaching an Intercultural classroom is minding communication styles and how that impacts how students learn. Lauren, I thoroughly enjoyed this post and I really appreciate the comments as well, Stephanie and Jessi. I whole-heartedly agree with your assessment of communication as well and the quote- “Conflict, marginalization and ostracism can occur when assumptions are made about a particular student based on stereotypes, generalizations and similarities. Educators need to be aware of in-group cultural differences (Ponciano & Shabazian, 2012).” really resonated with me. As someone who group in a primarily white, middle class small town in Pennsylvania, I find that often times people assumed they knew who I was based on the outside/what they saw. And often times, my teachers did the same growing up, never knowing that my my father’s family is from Panama and that there were differences in our culture and the way I grew up. I remember once being scolded publicly for talking “too fast,” gesturing, and interrupting when I got excited…and I remember not knowing that anything was wrong with how I talked because everyone in my family is like that, it was just how I grew up and perhaps if my teachers had known more about where I came from they wouldn’t have seen my communication style as inappropriate and publicly shaming me but rather a reflection on a rich and beautiful history/culture. I love the idea of an assessment of cultural identity. I wonder if there’s a way to also execute some form of assessment (formal or informal) of the students within a classroom so that the educator knows what sorts of cultural differences specifically might crop up. Do you think that might be an effective and useful practice, or is it best to just try to be as generally and broadly culturally competent as possible?